19/04/2019: Enjoyed some lovely drinks outside before going in for our meal, excellent for a wee drop of people watching. 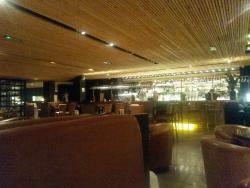 The surroundings are lovely, the staff are efficient an attentive. The food is served promptly and was unquestionably delicious. BUT I ordered ribs for a MAIN course, and received 6 ribs. That worked out at almost £3 per rib. I can’t quibble about the quality and flavour but to be given a starter for your main course was quite disappointing. I will go back, but won’t be getting the ribs again, no matter how lovely they were. 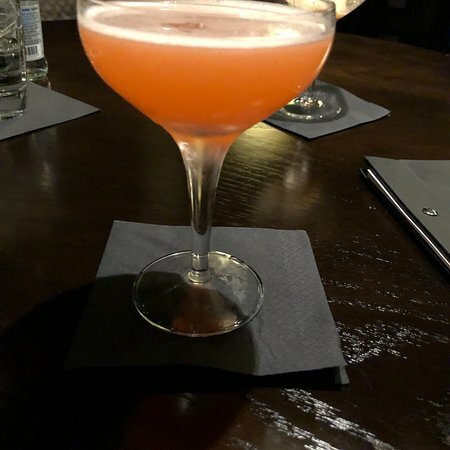 17/04/2019: We stopped over for one night in Glasgow and wanted somewhere warm and memorable to eat. We found it. My guess is that The Anchor Line is a busy, popular restaurant most of the year round but on a cold January Monday evening we had the pick of the tables. 07/04/2019: Having been here for a lunch before, we thought this time we would go for breakfast before exploring Glasgow on foot. As before service is very good, and knowing our tummies was desperate for food, we went for the big breakfast, one with fried eggs, and one poached. overall no grease on the plate, which is good, my only flavour issue was the sausage used, very herby, to intense for me, but loved the food and drinks overall, very good. 05/04/2019: We picked here after seeing reviews and was not disappointed. Food was amazing. Decent size portions, very tasty and quick service - but not rushed. Service was excellent and loved the touch of decanting the wine in front of you. Had a fabulous first visit and will definitely return - I’ve found a new favourite restaurant! 01/04/2019: Great place for a Lunch or Dinner. 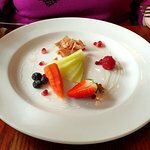 Great Menu, Chefs and Staff all combine to give superb service and that makes this my favourite place to eat in Glasgow. It never fails to please, whether it's a Saturday Lunch or a mid week Dinner. 14/04/2019: This restaurant is a real hidden gem. 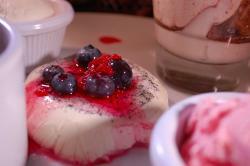 There is an interesting and varied menu with quite a few dishes we hadn't seen before. The waiters gave excellent advice in relation to selection and choices and are the most interested I can remember. We shared the chef's platter for two between three of us and there were generous quantities of delicious and freshly cooked pakoras. We ordered a selection of varied curries for main course and they were all well cooked and very flavoursome. The portions were generous and we struggled to finish. The waiters were keen discuss other dishes when we had finished and most pleasantly thanked us for the custom and encouraged us back. We will definitely try if we are in the area again! 29/03/2019: The restaurant is small, intimate and beautifully decorated with a wonderful ambience. The service is prompt, polite and cordial, nothing was too much trouble. The food is sublime and plentiful. 20/03/2019: Nice bar and diningroom well layed out also has private dinining. Staff attentave and friendly. Food very good and well presented on the plate. 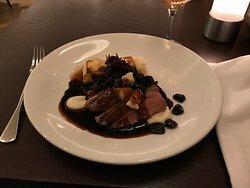 17/03/2019: Absolutely spot on , drinks, dinner, more drinks.. staff very pleasant and helpful, food was fantastic. All together a great night and great experience. 13/04/2019: We booked quite late, but were not refused for lunch. 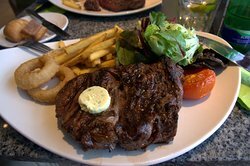 Great food, great service and very reasonably priced. We could not had asked for a better meal, really enjoyed by my party. 12/04/2019: We went as a party of 10 for a celebration and paid a £60 deposit up front. It’s clear to the staff that we were coming and it wasn’t an additional ten on a busy night. 08/04/2019: We had the 4 course and Prosecco menu plus warm bread and a side of onion rings. Every dish was tasty and presented well. The atmosphere was pleasant with a piano player. Would definitely recommend. 07/04/2019: Popped in for a drink before going to a show. The place was buzzing and the atmosphere was great. Prices are reasonable. We didn’t eat but the food looked good and the compliments we overheard were favourable..
31/03/2019: Coma con mis FP favoritos después de su brillante show en el Pavilion Theatre de Glasgow. Su tributo al original Francie & Josie no se puede perder. Cómelos en el Atholl Arms para tomar una copa. Buen pub de Glasgow al otro lado de la calle del teatro Pavilion. Personal amable, buen ambiente. Vale la pena una visita. 15/04/2019: The food here is lovely. Free salad bar which is good! Service is always speedy and there's a lovely wee outdoor seating area for nice weather. Good location with a lot of parking. Staff are always helpful and polite. Can't really knock it tbh. 13/04/2019: Our family were celebrating Christmas and required a restaurant capable of coping with a big party of 16 participants. Here we were welcomed with aplomb and slotted in without demur. The food is cheap, cheerful and very good value for money. Highly to be recommended. 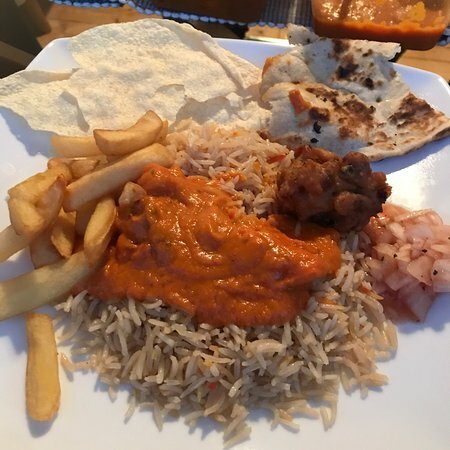 11/04/2019: This is a standard Nando’s but the service could not have been better for our recent visit. We booked ahead as it was a birthday party with 14 of us. They gave us upstairs area almost to ourselves. Our server really looked after us and the cupcakes etc. Yes it’s standard and consistent fare but a five stars for the staff efforts. Thank you. 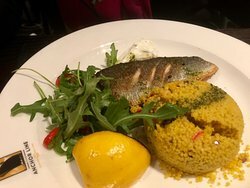 08/03/2019: Thank you for a lovely birthday meal, a special thanks to Lazaros, who was brilliant with us and excellent with my daughter and her coeliacs disease. 15/02/2019: La carte est variée et la nourriture délicieuse. Pourquoi prendre un taxi quand on a tout ce qu'il faut en bas de sa chambre ? 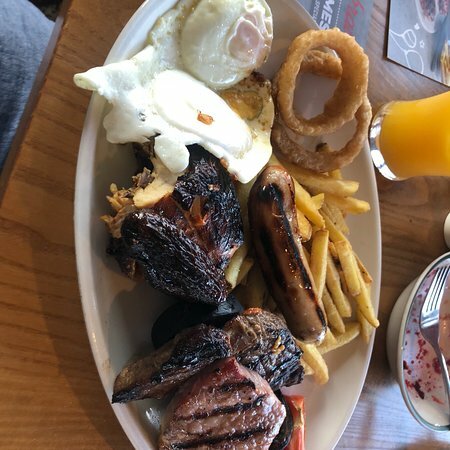 18/04/2019: As Harvester restaurants go this was actually a decent effort, good service from a tentative waiter, knowledgeable and accommodating our needs, quick service and reasonably priced meal. 15/04/2019: Great staff good food special mention for staff members Mags and Aneoas nothing was any bother to them. 05/09/2018: Visited the restaurant as we were intised in by the set lunch menu. Asked for a kids menu but never got one to look at so when bill came I paid the same for a kids pizza as I did for a 2 course set menu.....on which was a pizza! Starter of minestrone was good but ordered a roasted veg pizza for main which came with carrot on the top.....weird combo!!! Service was good, waitress was friendly and chatty but with high soft drinks prices and the mix up with kids meal it ended up being a more expensive lunch than intended. 26/01/2019: Absolute waste of money ... Food arrived late, cold and both wrong orders. The kebab and chips was also undercooked ... Called the restaurant and they said there was nothing they could do and refused to do anything about it ... definitely will not be ordering from here again. Disgusting. 30/12/2016: Después de esperar una hora para la comida, la orden estaba equivocado, así que llamó al restaurante. Nos dijeron que alguien había recibido nuestra orden y sería nuestro orden tan pronto como sea posible. Después de cuarenta minutos de nuestra Orden, aún no llegó así que llamamos el restaurante de nuevo a sin respuesta, está claro que nos ignoró y se fue a casa, esperando que no nos pone un alboroto. Llamamos al día siguiente y me la negaron toda responsabilidad y dijo que hablar de comer solo, que eran mucho más útiles. Comer solo consiguió que nos dieran vales para cubrir el coste de la comida, pero el restaurante sigue negando toda responsabilidad. La comida era promedio y sin duda no vale la pena molestarse.